Chelsea have started the Premier League season with some unbelievable performances, the Blues have blown away every team that has come their way. The major star of this blistering start is their talisman, Eden Hazard, the 27 year old Belgian has been in an incredible form and against Cardiff, he showed once again why he is dubbed one of the best in the world. Chelsea made it five wins out of five when they thrashed Cardiff 4-1 at Stamford Bridge on Saturday mainly thanks to Hazard’s hat-trick. It was a game Chelsea dominated from start to finish but it was Hazard’s individual brilliance that made the difference. Cardiff took the lead early on in the game through a set piece which was poorly defended that allowed Bamba to head home from close range. It didn’t take long for Hazard’s tireless effort to lead to a goal and he ensured that he doubled the lead before the break to give Chelsea a half time lead and he completed his hat-trick in the second half from the penalty spot. 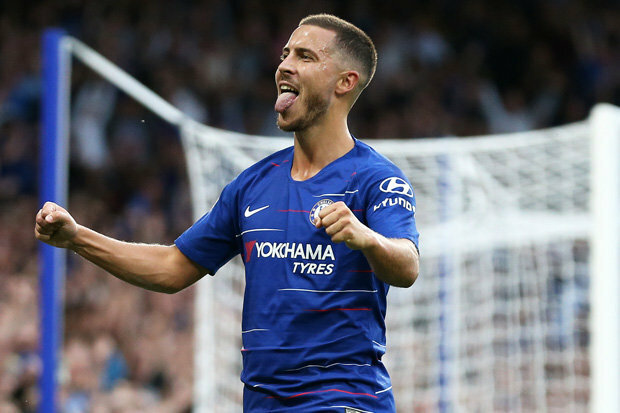 The effect of Hazard’s fine form is that the Blues will now feel they confidently mount a title challenge with the likes of Liverpool and Manchester City. With his form at the moment, Chelsea are confident of taking on any of the big boys, this was evident when Arsenal visited the Bridge and Hazard was only brought on in the second half and he still effortlessly provided the assist for the winner. Chelsea made the right decision to ensure he didn’t leave the club last window when there was real interest from Real Madrid. With the season going like this, the club should find it easier to persuade him to sign a new contract and remain at the club. All Hazard needs to do is keep this form and we might be seeing a repeat of Chelsea’s 2015 and 2017 title winning seasons.